Another fresh piece of footballing footwear winged it's way into the FOOTY.COM offices recently. 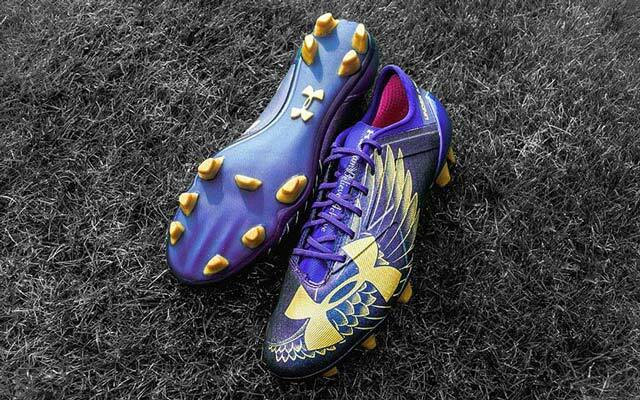 Last season Under Armour released a special edition version of their Speedform boots; the DreamChaser - designed specifically for Manchester United forward Memphis Depay. With an altogether new creative outlook, the DreamChaser 2.0 delivers an eye-catching illustrative update. The Speedform is no more, replaced by the all new 'Spotlight' line; this boot has been designed as a direct nod to Depay's “Dream. Believe. Achieve” mantra. The new Under Armour DreamChaser's will act as an organic extension of Depay's personality every time he steps onto the pitch. 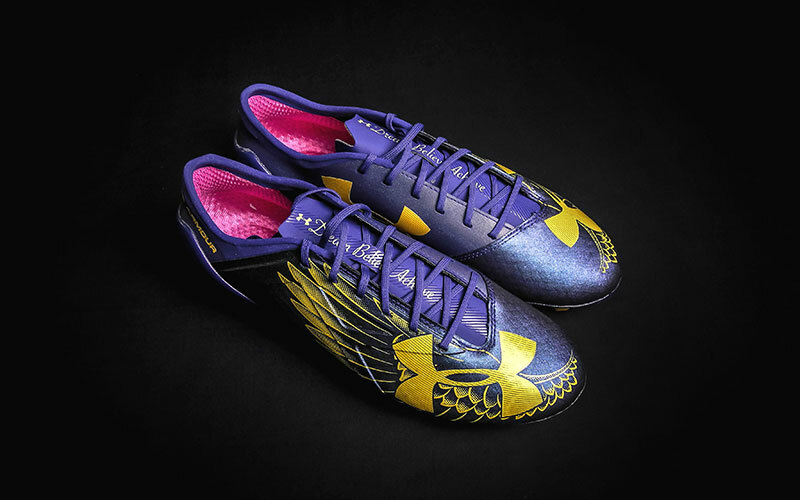 With 'DreamChaser' tattooed across his chest, Depay's new boots also feature the elaborate winged tattoo design that accompanies his dream-chasing calligraphy. Wings for a winger? A coincidence?...Yes. The Spotlight Dreamchaser is designed with speed in mind, and while the wings won't make you fly, they could just give you the edge over the opposition. A close up look. A work of art. The colour, described by Under Armour as 'Grape Fusion', forms the platform for the gold tinged illustrative work to really stand out. While on the face of it, the DreamChaser 2.0 may simply look like a work of art; underneath the souped-up bonnet is an array of technical features. Speed and control is the end goal. The upper of the boot is constructed using two different materials. A supportive synthetic on the lateral side is complemented with a stretch material on the medial side. The comfort and flexibility is still twinned with SpeedForm technology; a molded heel cup together with individual linear shaped studs promote traction and stability - ensuring an explosive first step. Wings up top, and a soleplate ready for take off. Depay's career at Manchester United has been somewhat stuttering so far. 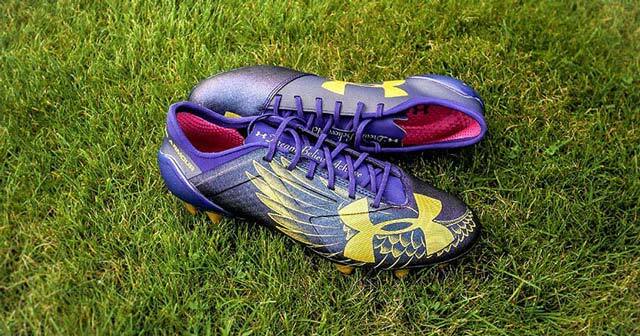 The Dutch forward will be hoping these winged wonders will help to get his form off the ground. Expect to see him treading the Old Trafford grass in these dazzlers imminently. The DreamChaser 2.0's are available in limited numbers so you'll have to be quick to grab these before they 'fly off the shelves'. We're here all week. Memphis Depay now has a custom boot like no other. 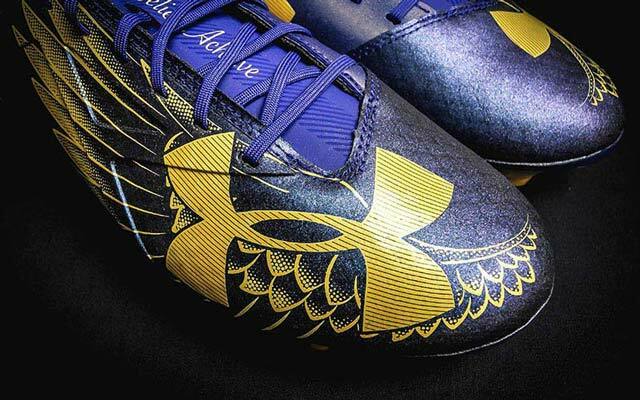 What do you think of Under Armour's new design? Do you think Memphis Depay's form will improve? Let us know in the comments below.